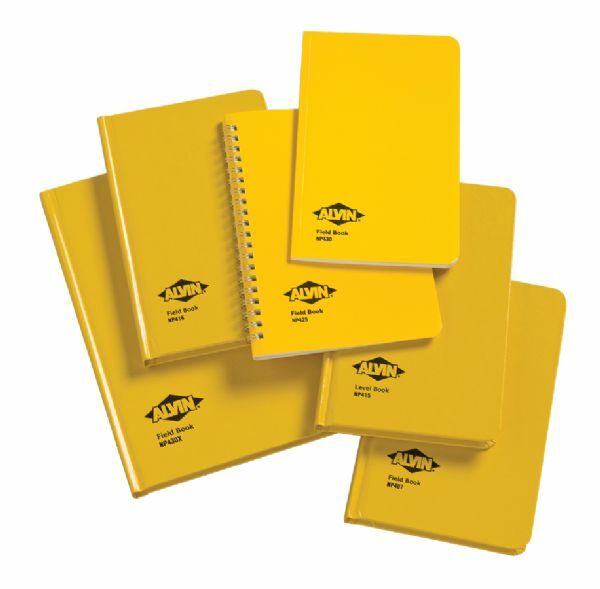 Alvin Field Book 6" X 9"
Field book covers are extra stiff and a high visibility yellow color completely protected by a waterproof barrier with blind embossing. * Pages are white ledger paper specially formulated for maximum archival service ease of erasure and protected by a waterresistant surface sizing. * 6" x 9" page size 80 sheets (160 pages) plus 15 pages of curve tables and practical information. * Left page has blue horizontal lines red vertical lines eight columns. * Right page has 8 x 4 blue lines red vertical center line forty-four columns. The quantity is 160 pages. The size is 6" x 9".